The Denver Broncos came out with their best performance of preseason in their third preseason. 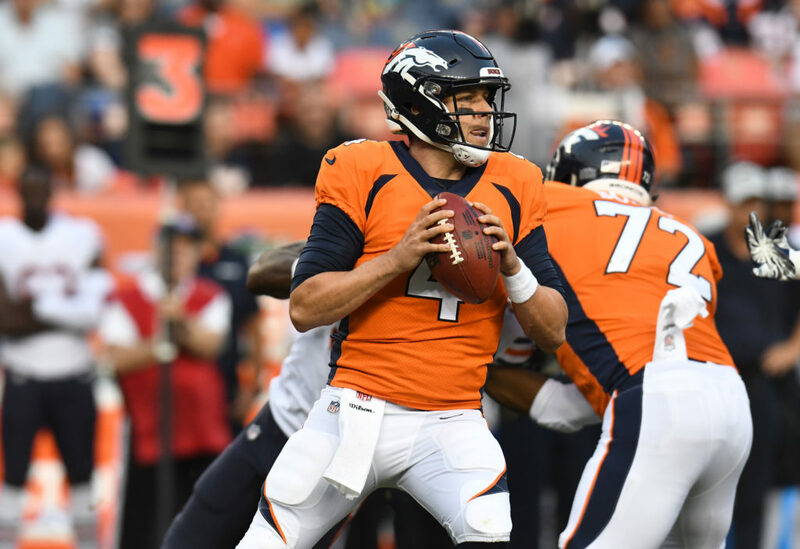 In what many believe is the most important preseason game, Case Keenum and the Broncos first team offense was sharp, clean and crisp. To discuss the Broncos first team offense, the Mile High Sports Radio team was asked what impressed them the most about the first team offense and on a scale of one-to-ten, to rate the offensive attack. They get an eight from me and that’s up from say a three from game two. Significant improvement over the first two games and last season. That said, the play calling still remains a cause for concern and my confidence is still murky at best when it comes to the offensive line. 7. That’s a C-minus in school, and it sounds about right to me. They had a couple big plays in Washington, but you can’t count on those. The offensive line is still suspect, and the offense itself looks to be more Alex Smith-like ‘dink-and-dunk’ than most would prefer. It’s clear that Royce Freeman needs to be the lead runner in Denver’s committee, and fullback Andy Janovich proved his worth by springing both of the Broncos’ touchdown runs with ferocious blocks. The offense is better in nearly every facet when Janovich is on the field. 8. I wasn’t surprised with the quality play of the offense, but more so the flow the quality of the play calling. Courtland Sutton was impressive and the natural chemistry between Case Keenum and Emmanuel Sanders is real. This team is a good team on offense and now with a competent quarterback, they will be drastically improved from last year. 7. The offense is set up to help the quarterback out with quick easy decisions and getting the ball to playmakers. That’s what happened, kudos to Bill Musgrave, the offensive coordinator for a quality game plan. Broncos get a 7.5 from me. It was a good demonstration of what they can do. I only take points off because it’s preseason and they weren’t forced to do it for a full 60 minutes. But a solid 7.5 for a solid performance. 8.5. Very impressed with the young rookie receivers and Phillip Lindsay averaged more than five yards a carry. Sanders looks rejuvenated and so long as Paxton Lynch doesn’t see the field as a first-teamer, the Broncos offense looks improved. Five. It was fine. Much better than the first two games, but I also think the pressure was on. They HAD to look better. It wouldn’t surprise me if this gameplay was slightly less “vanilla” just so they experienced some success. Now, let’s see if that can be replicated when the real thing takes place.